Yes, subscribers can add their own subscriptions and can subscribe to any comment without actually commenting. 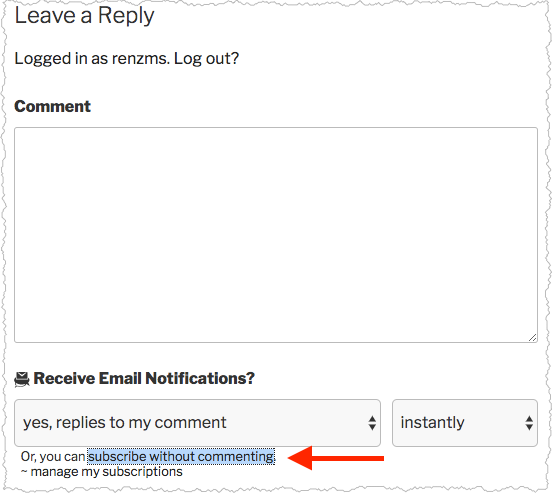 First, please make sure you have enabled the "Comment Form Subscriber Options Template". 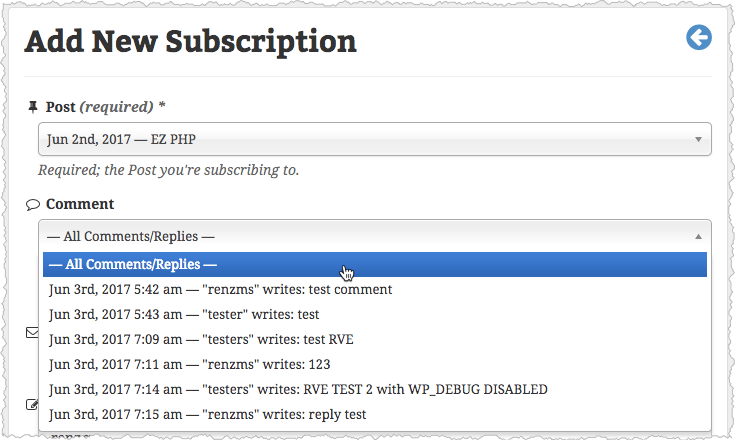 Please see: WordPress Dashboard → Comment Mail → Config Options → Comment Form → Enable Comment Form Subscr. Options Template? On the front-end, when clicking "Reply", the link to "Subscribe without Commenting" will be available. 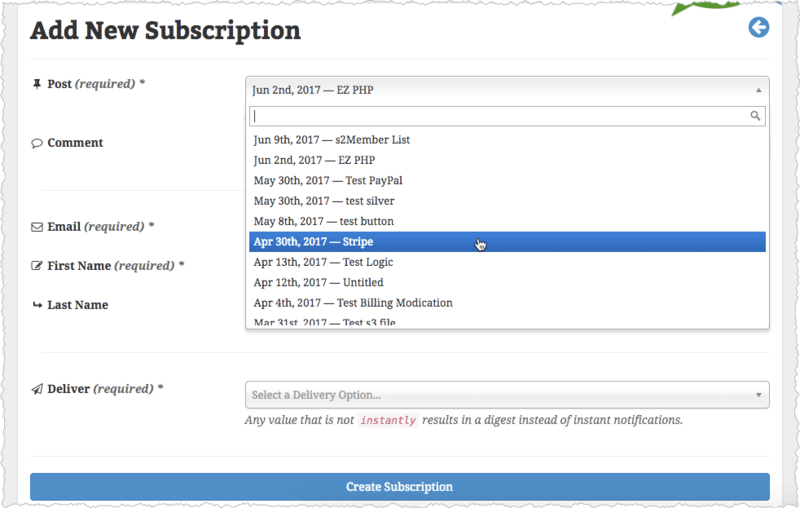 This will allow the visitor to access the Add New Subscription page where they can create a new comment subscription. From the Add New Subscription page, they can then add and customize their subscriptions from a number of different options such as: the specific Post they wish to subscribe to, specific Comments/ Comment Threads / Replies or even All Comments/Replies, and even how often they receive notifications for updates.